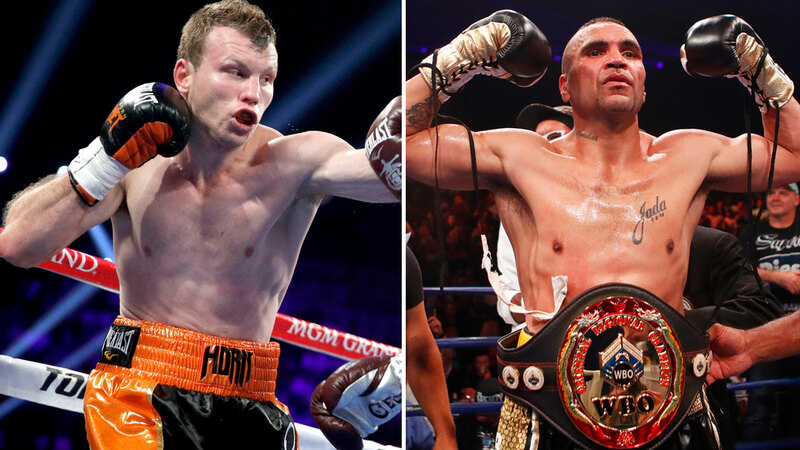 Anthony Mundine has raised his concern about Jeff Horn's alleged tendency to lead with his head before Friday's bout in Brisbane between the pair. Allegations of headbutting have long dogged Horn, with the camps of Manny Pacquiao and Terence Crawford both making the claim against the Australian fighter. Mundine has now joined the argument, saying he'll definitely be discussing the issue at a rules meeting before the fight with referee Phil Austin. "That's the only thing that I'm worried about," Mundine said when asked if the headbutts were a concern. "When he starts to get banged up and he starts to get blood here and there, he's going to get frustrated and not know what to do so he's going to start leading with the elbows, leading with the head and all these types of things. "Hopefully we'll talk in the rules meeting and put our case forward." Mundine undertook a light public training session in stifling midday heat in Brisbane's CBD on Monday, a small crowd watching on as he did some pad work with father Tony. 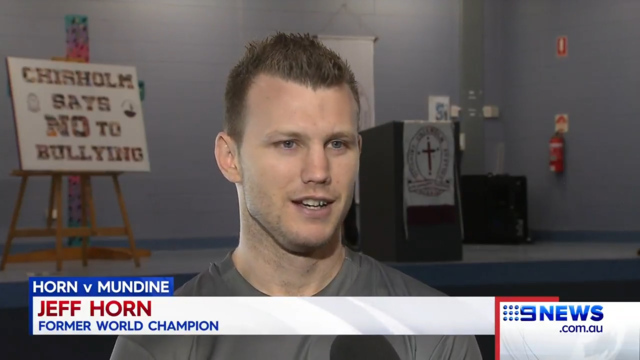 The 43-year-old said he was feeling good ahead of the fight and dismissed the talk from Horn's camp that he won't be able to handle the power of his younger opponent. "I know they're banking on me not to be strong, not to be fit enough to go the full 12 rounds with a hungry young bull," Mundine said. "I'm not really worried about power ... if he don't hit me then I can't feel the power. I've fought much bigger men. Much broader men. Guys that are a lot more powerful than this guy ... he's the one that's coming up (weight). "I'm the one that's been in the ring with the Greens (Danny Green), the Kesslers (Mikkel Kessler), the Siacas (Manny Siaca), in higher weight divisions. This little cat ... he can hit me as hard as he wants, he ain't going to hurt me."